Declutter your abode with these easy-to-make nifty nesting boxes. Make them in different sizes to house various things. Craft them in colors and style to match your furniture. 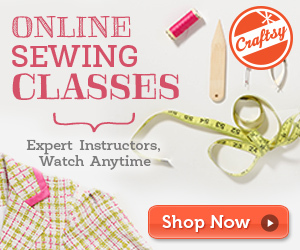 In fact, this project is ideal for people with intermediate sewing skills. The pattern includes instructions on how to make the boxes in three sizes: Large (5.5 in/14 cm), Medium (4 in/10 cm) and Small (3 in/7.5 cm). This project is a creation by Just Jude Designs. In fact, you can access the FREE downloadable template for these boxes from the Craftsy website. To access the FREE downloadable template for this set of home must-have, please click on this link: Nesting Boxes Template. Featured image: Just Jude Designs – thank you!